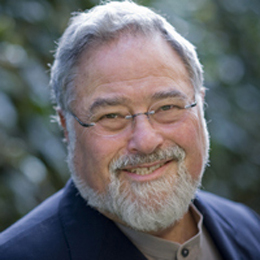 September 16, 2012 By George Lakoff in MIsc. Framing is (or should be) about moral values, deep truths, and the policies that flow from them. As of their kickoff speeches in Ohio, Romney and Obama have both chosen economics as their major campaign theme. And thus the question of how they frame the economy will be crucial throughout the campaign. Their two speeches could not be more different. Where Romney talks morality (conservative style), Obama mainly talks policy. Where Romney reframes Obama, Obama does not reframe Romney. In fact, he reinforces Romney’s frames in the first part of his speech by repeating Romney’s language word for word – without spelling out his own values explicitly. Where Romney’s framing is moral, simple and straightforward, Obama’s is policy-oriented, filled with numbers, details, and so many proposals that they challenge ordinary understanding. Where Obama talks mainly about economic fairness, Romney reframes it as economic freedom. Here’s a discussion of Obama’s speech. Obama began his kickoff campaign speech in Cleveland stating that he is “in complete agreement” with Romney: “This election is about our economic future. Yes, foreign policy matters. Social issues matter. But more than anything else, this election presents a choice between two fundamentally different visions” regarding economic policy. Obama’s strategy is to pin the Bush economic disaster on Romney, with good reason, since Romney has essentially the same policies as Bush. Since Obama has not consistently pinned the blame on Bush over the past four years, he comes off as defensive. Romney’s strategy is to pin the disaster on Obama. He uses the Caretaker Metaphor — Obama has been the national caretaker, so the present condition is his responsibility. Since Obama started out assuming a caretaker’s responsibility, it is difficult for him to escape the frame now. He should have avoided it from the beginning. Pinning the disaster on Bush is possible, but it will take a lot of repetition, not just by the president, but by Democrats in general. Not just a repetition of economic facts, but of the moral differences that led to both the Bush disaster and the Obama attempt to recoup. Perhaps the most important omission from the Obama speech was any overt mention of The Public — everything that our citizenry as a whole provides to all, e.g., roads, bridges, infrastructure, education, protection, a health system, and systems for communication, energy development and supply, and so on. The Private — private life and private enterprise — depends on The Public. There is no economic freedom without all of this. So-called “free enterprise” is not free. A free market economy depends on a strong Public. This is a deep truth, easy to recognize. It undercuts Romney’s central pitch, that is it private enterprise alone that has made our country great, and that as much as possible of The Public should be eliminated. Romney calls free enterprise “one of the greatest forces of good this world has ever known.” In reality, America free enterprise has always required The Public. Romney attacks The Public, speaking of “the heavy hand of government” and “the invisible boot of government.” The contrast is with the putative “invisible hand” of the market — which leads to the good of all if everyone follows their self-interest and the market’s natural force is not interfered with. Romney’s “invisible boot” evokes the image of a storm trooper’s boot on your neck. The government is the storm trooper, your enemy. You are weak and in an impossible position. You can’t move — a metaphor for being held back and not being able to freely engage in the economy. Romney uses the frame consistently: “The federal establishment,” he says,” has never seemed so hostile.” The Public is an “establishment” — an undemocratic institution — which is the enemy of the people. It is implicit in this frame that the government is not the people. Romney’s assumption here is that democracy is based on the “liberty” to seek one’s self interest with minimal regard to the interests or well being of others. People who are good at this will succeed, and they deserve to. People who are not good at this will fail, and they should. In Romney’s speech, ”The Freedom to Dream,” he used the word “freedom” 29 times. This is what he means. Although Obama intends to argue against this understanding, he unintentionally feeds it. He does so in three ways: First, by accepting and reinforcing many of Romney’s central frames (often by negating them); second, by moving to the right in his own argumentation; and third, by not spelling out his own moral principles explicitly right from the start. Though Obama’s statements are supposed to be taken sarcastically, they actually are positive, straightforward, easy to understand versions of Romney’s positions and beliefs. Conservatives talk endlessly about “cutting spending.” The president uses the same frame: “I’ve signed a law that cuts spending and reduces our deficit by $2 trillion. There is of course a deeper problem here. Anyone this me-too-conservatism might appeal to would most likely vote for a real conservative over Obama. Third, in his speech, the president gives a long list of perfectly reasonable policies: ending oil subsidies, investing in education, hiring more teachers and pay them better, not deporting young immigrants, investing in clean energy, encouraging energy innovation, supporting R&D tax credits, rebuilding crumbling infrastructure, reforming the tax code, eliminating tax breaks for businesses that ship jobs overseas, strengthening Medicare and Medicaid, and so on. No such list is going to be remembered by most of those who heard it. Moreover, what is said first matters; it sets the moral frame. In his speech, Obama first repeats the Romney frames, opposes them to numbers and policy lists, and only at the end talks about his own moral vision. What could Obama have done better? Frame everything from his own moral perspective, including Romney’s positions and assumptions. Avoid the Romney language. Start with his own moral position, which he stated beautifully in his 2008 campaign but has since dropped: That democracy is based on empathy (citizens caring about fellow citizens), responsibility both for oneself and others, and an ethic of excellence (doing one’s best not just for oneself, but for one’s family, community, and country). Repeat the truth that The Private depends on The Public. It is The Public that provides economic freedom. Give a vision of responsible, progressive business. Talk freedom — as well as fairness. Point out that the hoarding of wealth by the 1 percent kills opportunity, as Joseph Stieglitz has discussed at length. Speak of an “Economy for All — not just rich bankers, managers, and job killers like private equity firms.” Yes, Romney and those like him are job killers. Say it. Point out that during the economic recovery of 2010, 93 percent of the additional income went to the richest 1 percent of taxpayers. Stop using “top” to mean rich. “Top” suggests high morality, merit, and ability. “Bottom” signifies the opposite. We are now in a situation where conservatives have framed almost every issue. The least Democrats can do is to refuse to repeat their language and so help them.